Printable food; sounds complex right? I’m sure you’re picturing a whole cheese pizza being printed out of your home printer right now, mouth-watering at the thought of it. The convenience would be even more so than all of those food delivery services. However, food-technology isn’t quite at the pizza-printing level yet, though this new kitchen robot is a step in the right direction. The nūfood robot is a newly developed kitchen robot which ‘prints’ food, made from pre-packaged liquids and raw ingredients. Created by Cambridge-based company Dovetails, the robot creates jelly-like ‘flavour bombs’ to accompany food, or enjoy as a tasty nutritious bite. 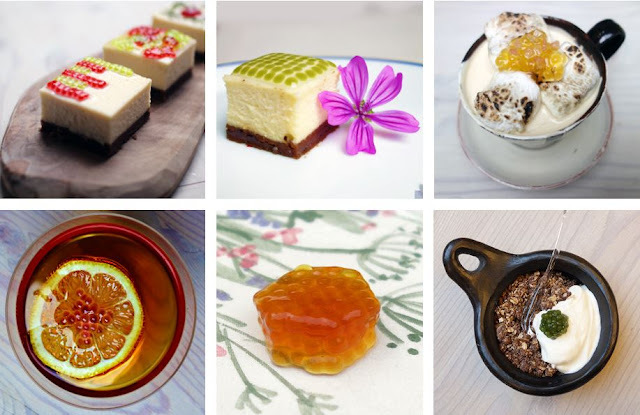 Their website advertises their creations thus far, including ‘Cheesecake 2.0’ which ‘re-thinks the New York Cheesecake with 3D printed visualisations’, ‘HoneyBerry’, a flavour bomb made from local honey, and the interestingly-named ‘Wasabi Worm’, a wasabi accompaniment for sushi. The company advertises how they provide the best ingredients, due to strong relationships with suppliers, establishing their own ecosystem and erasing the ‘messy and time consuming’ ingredient preparation process. On March 4 this year, there’s another nūfood Tasting Experience, to be held in a secret location in London. Tickets are available for £100 to experience an ‘innovative dining evening’. Many experts have suggested how printed 3D food could be a step in the right direction concerning world food problems. For now, only flavour-bombs are available from the kitchen robot, and any crunchy options are off the menu for the moment, as reported by BBC News. The company are receiving rising interest and success, winning the Startup Showcase Award at the Smart Kitchen Summit 2016, and having hundreds of Twitter followers.